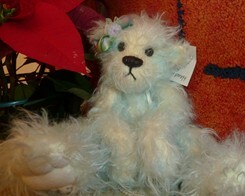 Judith Malamud of Beaubear originally from New Jersey, currently makes her home in Naples, Florida. 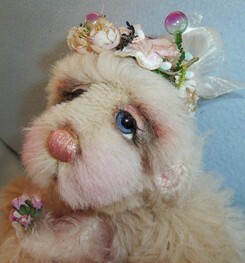 After pursuing a life in the fashion industry, she became a lover of bear making during her years of loving and creating dolls. 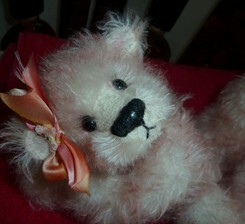 Judith has loved dolls and stuffed animals since she was a child and had a collection of dolls growing up. She began working as a fashion designer for major department and specialty stores that gave her the opportunity to travel worldwide seeking the latest trends. She worked as a designer for more than 20 years, being a self-taught designer who had graduated from Barnard College with a degree in English. Traveling to places like Hong Kong, Taiwan, Singapore, India, Sri Lanka, and Korea to work with the manufacturers and to Italy and France for inspiration. When she moved from New York to Illinois, she happened upon a doll shop giving lessons on making porcelain dolls and she “fell in love with this process immediately and soon became obsessed with it”. 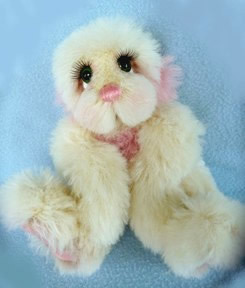 As she became more proficient in making dolls and painting their eyes, which she especially enjoyed, she found it very difficult to find beautiful doll clothes to compliment her dolls. 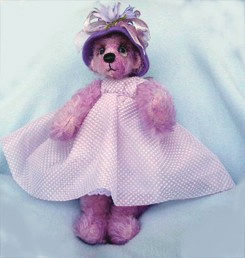 Through her experience in the clothing industry, she began designing doll outfits. She used the finest fabrics and with her vast knowledge of sewing and fashion she won five rosettes in The Best of Show category, three trophies and multiple blue ribbons in several competitions. 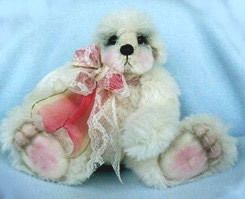 In addition to the difficulty involved in finding doll clothes, she wanted one of her dolls to have a little bear and another new passion was sparked in her. “After that there was no stopping me,” says Judith. 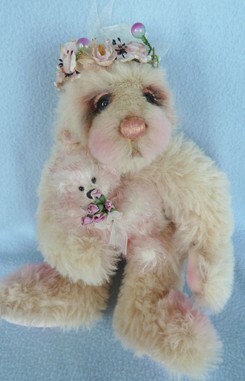 She found little time to work on her dolls and bears during the peek of her career. 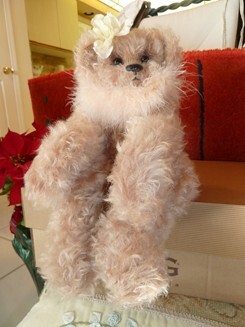 Things changed when she retired last year; Judith began seriously concentrating on making bears. “My favorite part of creating a bear is the face and scissor sculpting is my favorite technique.” An online course taught her scissor sculpting. 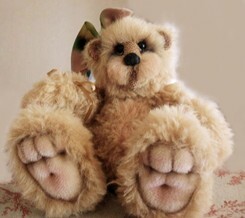 “It takes me approximately 1 to 2 weeks to create a bear from design to completion. 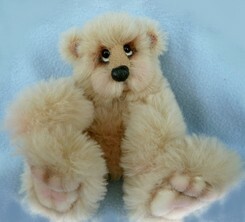 Exaggerated feet, sculpted toes and puffy cheeks give my bears their special ‘hug-me’ appeal”. “Connecting with other bear artists worldwide, in order to share techniques, is one of my main objectives,” Judith explained. 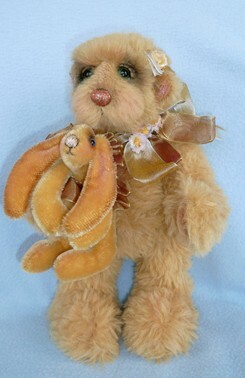 Judith sells her bears at various teddy bear shows, on eBay, to stores and friends, and Judith wishes to expand into other venues soon.